World Press Photo of the Year Warren Richardson, Australia, 2015, Hope for a New Life. A man passes a baby through the fence at the Serbia/Hungary border in Röszke, Hungary, 28 August 2015. 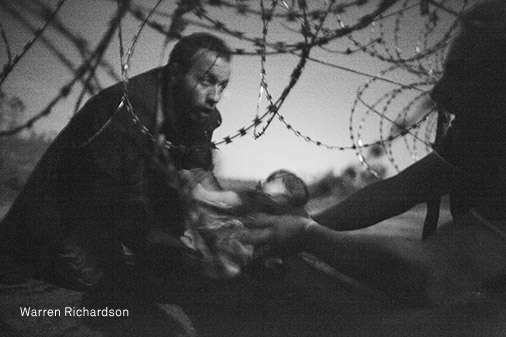 Warren Richardsons Hope for a New Life is World Press Photo van het jaar 2015. Voor meer informatie en bekijken van de winnende foto’s: worldpressphoto.org/.